Very Good. The Promise (Thunder Point) by Carr, Robyn. Mass market (rack) paperback. Glued binding. 363 p. Thunder Point, 5. Good. 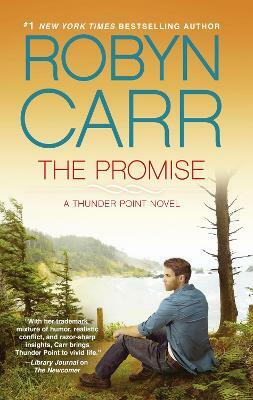 The Promise (Thunder Point) by Carr, Robyn. Mass market (rack) paperback. Glued binding. 363 p. Thunder Point, 5. Very Good. The Promise (Thunder Point) by Carr, Robyn. Glued binding. Paper over boards. 437 p. Thunder Point. New. Series: Thunder Point. Num Pages: 368 pages. BIC Classification: FRD. Category: (G) General (US: Trade). Dimension: 170 x 107. Weight in Grams: 270. 2012. Paperback.....We ship daily from our Bookshop.